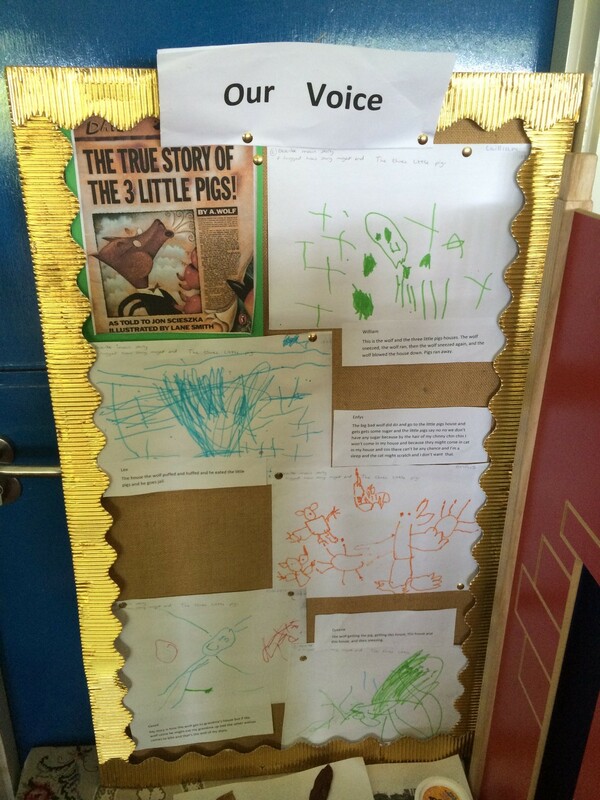 When dropping/picking up your child, do take a look at ‘Our Voice Corner’ if you can. 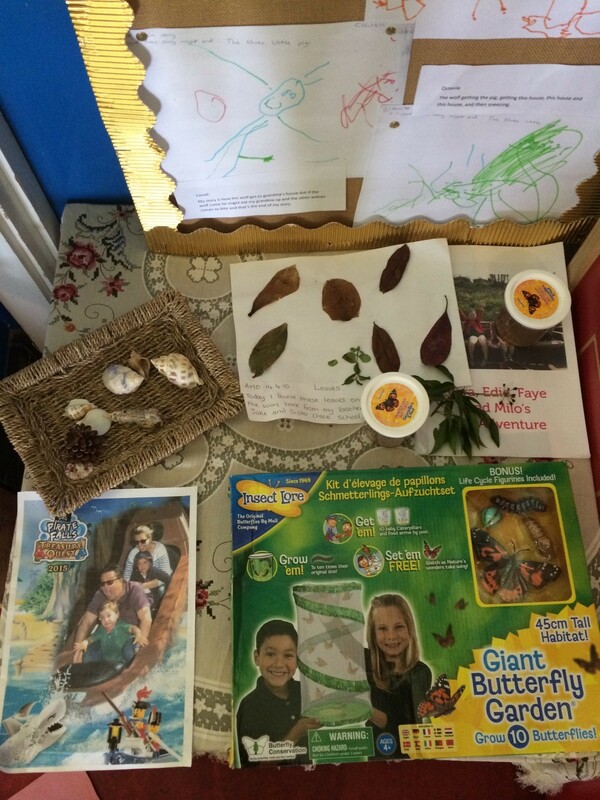 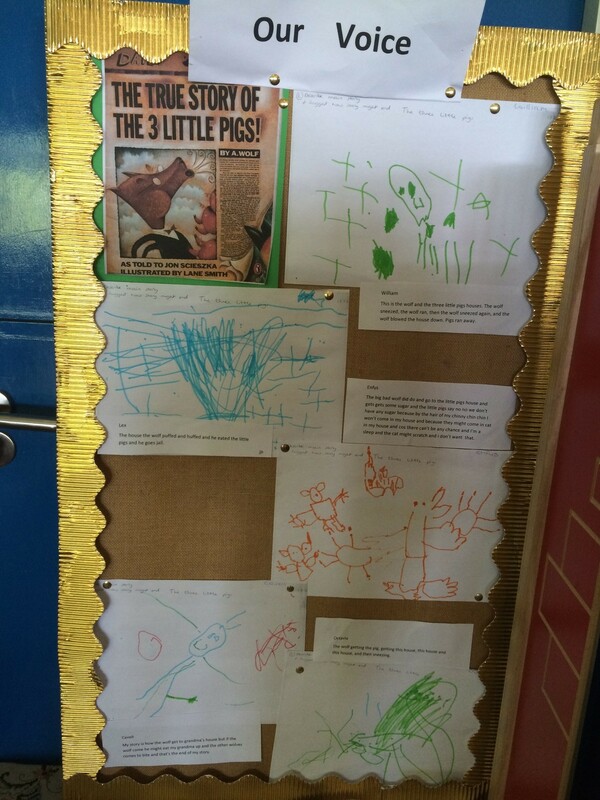 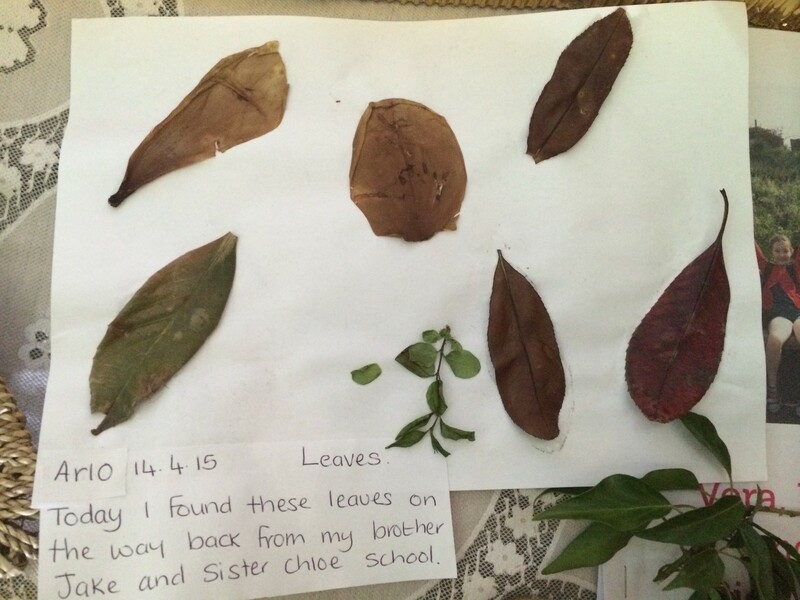 This is an area where children are encouraged to share something about what they have done, learned or experienced – in or outside the pre-school. 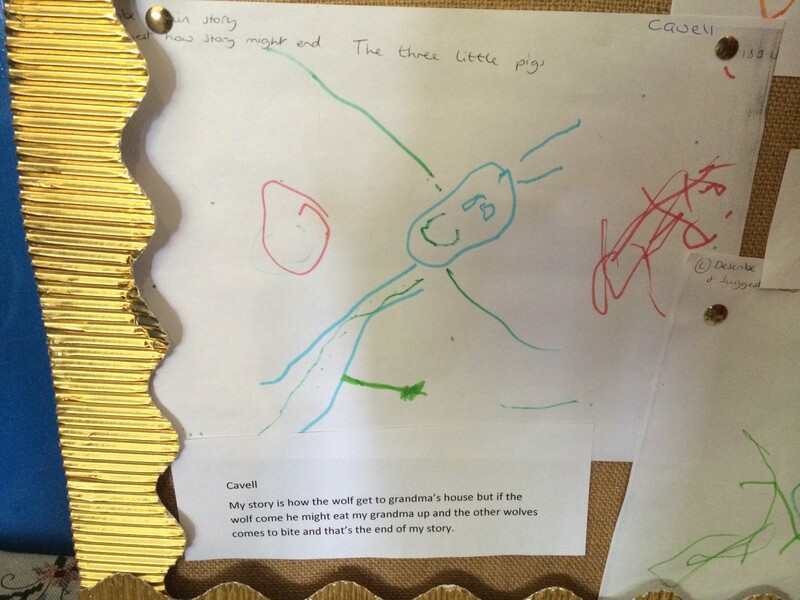 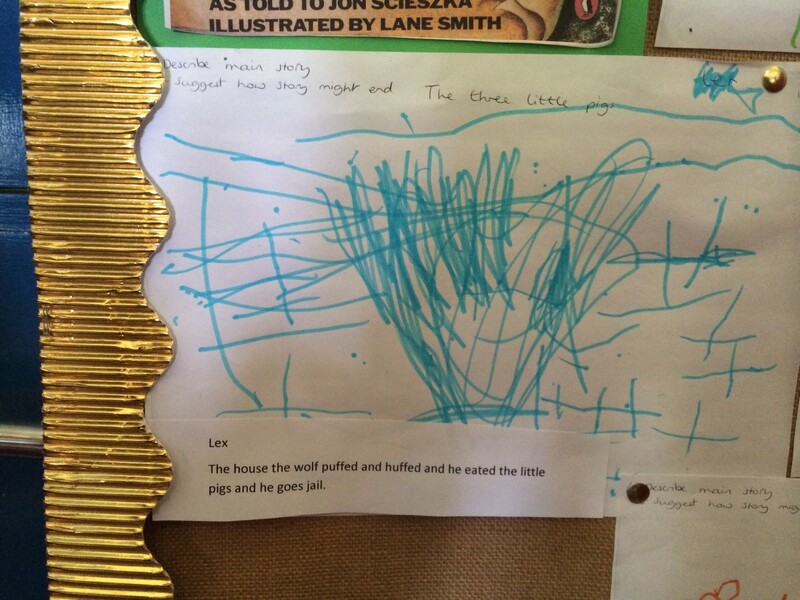 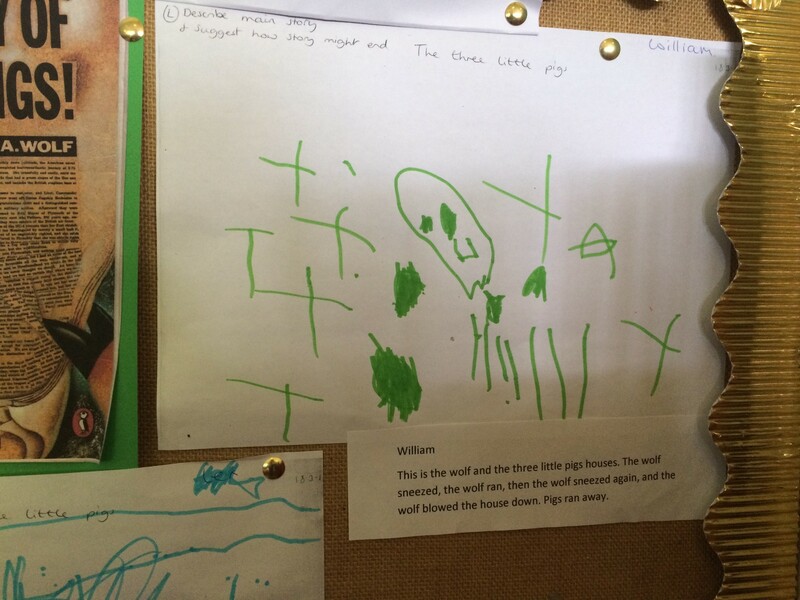 Currently, the Voice Corner is displaying shells from a holiday, pictures of a family adventure, things found in the garden, favourite books, as well as drawings of some of the fairy tales the children are covering this term. 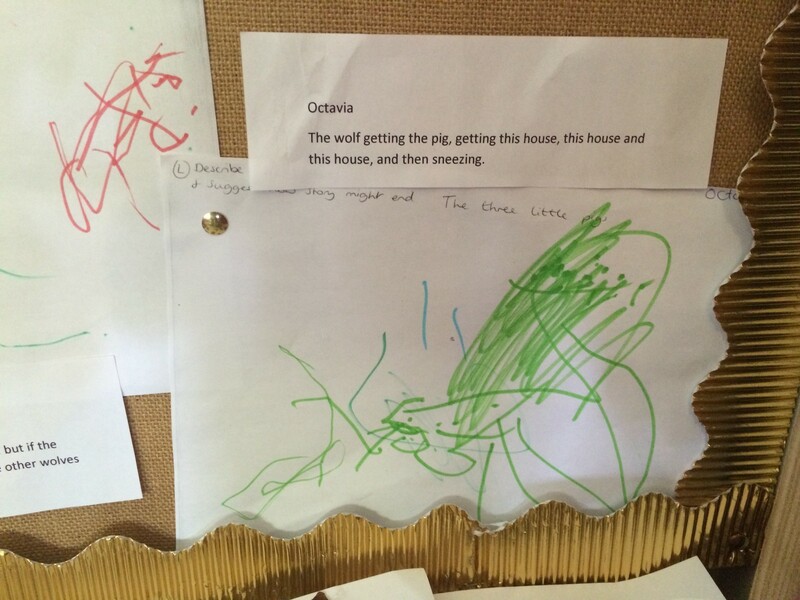 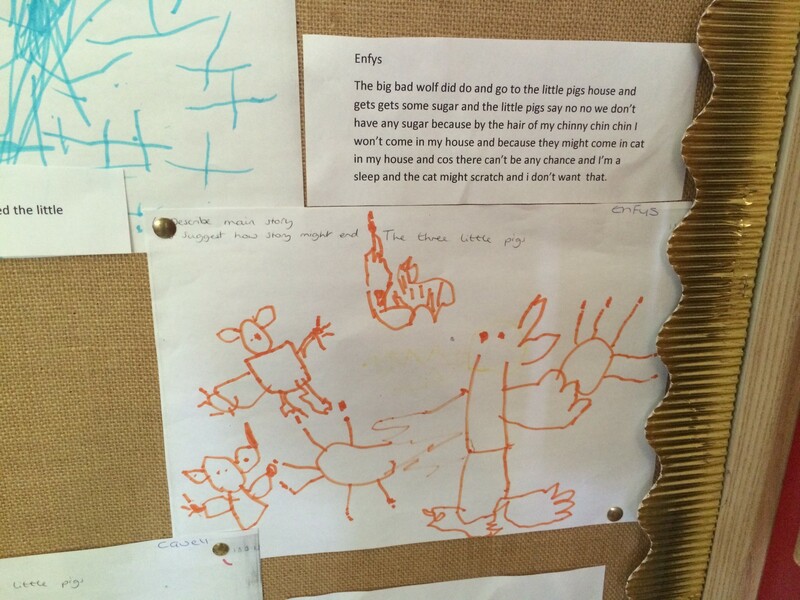 There are also some pretty interesting new suggested endings to the Three Little Piggies - worth a look.